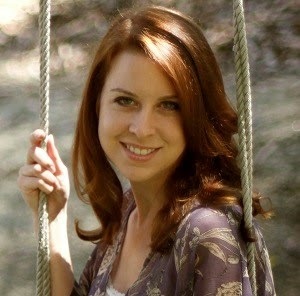 Today Katie Jennings has stopped by to share an excerpt from her paranormal novel So Fell the Sparrow. Katie has written a number of books including the series The Dryad Quartet and The Vasser Legacy, but So Fell the Sparrow is the first I've read of her work (my review is coming soon! ), so I'm really pleased to have the opportunity to share some of it with you - especially this excerpt, which is just perfect. After the tragic death of her parents, Dr. Grace Sullivan inherits more than she bargained for. An empty house she's never heard of, a nosy neighbor, and the restless spirits of a violent, century old murder. A hard-nosed skeptic, Grace refuses to believe in ghosts despite hearing sounds and seeing things that can't be explained. When she unearths antique furniture from the basement, the spirits become agitated and dangerous. Ian Black and Alex Gallagher, a team of ghost hunters, come in to investigate. Still denying the paranormal events in her home, Grace can't bring herself to take the ghost hunters or the psychic medium who teams up with them seriously. As Grace struggles with her grief and the feelings she's developing for headstrong Ian, the disturbing mystery of the house deepens. Now she'll have to face the unbelievable before the spirits claim her for their own. The sun rose over the harbor and beat back the fog. It filtered in through the haze and lit up the living room, glowing over Jackie’s eyes. She inhaled slowly, deeply, as she awoke, her lips curving at the sound of Alex’s snores. The inner peace and comfort she felt flowed over her, encasing her in a welcoming cocoon. She felt right in this place with these people. She may not be like them, but somehow she felt connected to them. Like she was meant to be in the Sparrow House. Within moments, the peace was disturbed like a ripple in a pool of water. She felt a presence beside her and opened her eyes. The little girl stood beside the sofa, dressed all in white with her golden hair curled around her cherub face. Jackie felt no fear, no apprehension. She only felt curiosity and intrigue. Jackie sensed the girl’s insistence, her desire to show something to her. She sat up slowly and allowed her to lead the way through the house. They walked into the entryway, and the girl paused beneath the balcony. She stared up at the banister, and Jackie followed her gaze. That was when she noticed the ghostly mirage of broken shards of the railing as though someone had fallen through. Her eyes drifted to the floor, and she saw the spreading pool of blood accompanied by the broken body of a tiny girl. Sorrow pierced through her heart as she regarded the girl beside her. She understood how the girl had died, and now the pain, the grief, the misery that flowed through the house all made sense. She could feel the fear and the disbelief the mother had felt upon finding her daughter. The anger and despair of the father as he listened to his wife’s cries of anguish. It all rushed at her in pulsating waves, nearly bringing her to her knees. But she fought to stand strong, to stay in her own mind and body, as her gaze swept the entryway around her. The walls were covered, floor to ceiling, in large, scribbled writing that repeated itself over and over. It said: My Little Sparrow. The words glowed white over darkened walls as though imprinted on the surface by a whisper, by a source of light in a world of darkness. Jackie looked back down at the girl and saw tears flowing down her cheeks. She said nothing, but Jackie understood that the girl knew it was her father who left the messages for her. Her father who came to the house searching, desperate to be reunited with his daughter. But something stood in their way. Heartbroken, Jackie knelt down and met the girl’s eyes, attempting to smile. To show strength. This was why she was here, to save the child from the monster. “Jackie?” Alex stepped into the room, worried to see her crouched in the entryway alone. Jackie looked at him, and her smile faltered as fresh tears fell from her eyes. Before she could speak, spots swam over her vision making her dizzy. Her legs gave out, dropping her to the wood floor. She nodded, but sobs ached in her throat and her body weakened from the rushing onslaught of grief. The grief of parents who had lost their only child, and the torment of the daughter who desperately wanted to find them in death. She was suddenly grateful for Alex’s presence. For his acceptance. Never had she met anyone who accepted what she was, and what she saw, so easily. “Tell me.” Alex loosened his protective grip on her arms, concerned at how the visions weakened her and sorry there was so little he could do to help. “My little sparrow, over and over again…” Jackie said softly, reaching up with her right hand to lightly touch his face, to turn him back to her. She needed the physical contact to bring her back to reality, away from the little girl’s nightmarish existence. The urge to kiss him flooded her senses as she stared into the soothing grass green of his eyes, and she realized it was the perfect solution. “Don’t read too much into this, please.” She leaned in and pressed her lips to his, craving the distraction the kiss offered. Her intent had been one of innocence, but she realized her mistake the instant he responded to her. At first, only shock registered in his brain. Then urgency blasted through it, taking the lead. He framed her face with his hands and deepened the kiss, his mouth roaming over hers with a vibrant heat and eagerness she hadn’t been expecting. All thoughts successfully fled her mind as she held onto him, embracing the thrill like it was her last. For all she knew it could be. And she was never one to not enjoy a thrill when it presented itself. She burst into laughter, shaking with it as she rested her head against his shoulder and savored the feeling of his arms around her. It was such a comfort to be with him, unlike anything she had ever experienced. Part of her wished it never had to end, but in her heart she knew it did. Nothing was ever permanent in her life, except her faith and her own spirit. People came and went, that was just how it was. He would be no different. For that reason she knew she had to keep things casual. “Who’s Sally?” Alex asked as Jackie rose to her feet. Katie Jennings is the author of eight full length novels, including the bestselling fantasy series The Dryad Quartet as well as the award-winning family drama series The Vasser Legacy. She lives in sunny Southern California with her husband and cat, who both think she's the biggest nerd ever. She's a firm believer in happy endings and loves nothing more than a great romance novel. 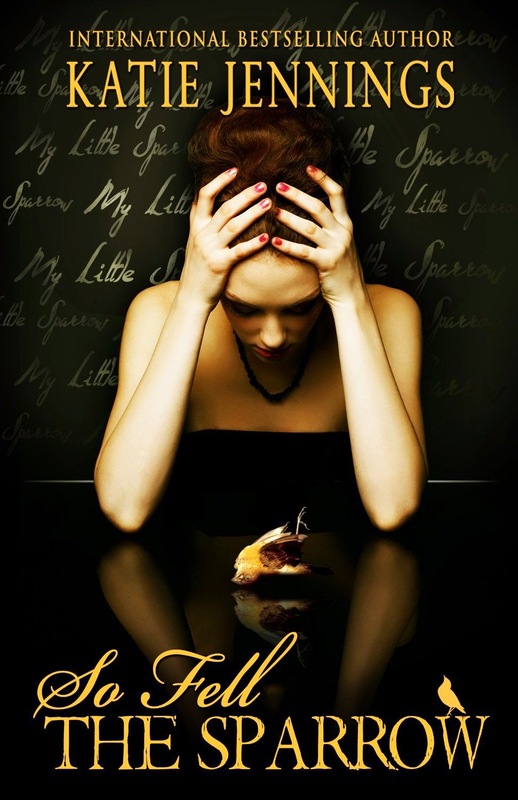 So Fell the Sparrow by Katie Jennings was released on December 28, 2013 and is available from Amazon.